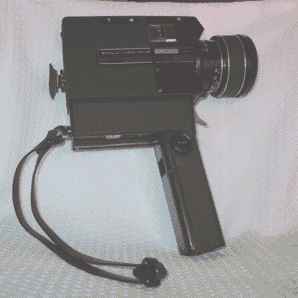 Produced in 1972, this movie camera is a Super 8mm, and it is eqauipped with a Sankyo Motor-Makro Zoom 8-48 mm 1:1.8 lens; its weight is kg. 1,200 and its size is 60x160x180 mm. The body is black.